Though it was released way back in 2009, I haven’t forgotten about Sony’s animated adaptation of Cloudy With A Chance Of Meatballs. It was a cute, genuinely funny film with a neat premise and some solid writing. 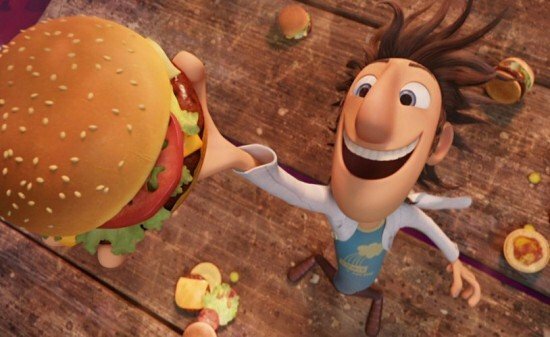 Directed by Phil Lord and Chris Miller, it was one of the more enjoyable animated films that I had seen in sometime and luckily, the studio gave the go ahead for Cloudy With A Chance Of Meatballs 2, which sees its first trailer arrive online today. This time around, Cody Cameron and Kris Pearn are directing with a script penned by John Francis Daley and Jonathan Goldstein (Horrible Bosses). Full of all the fun food related gags you can imagine, the trailer gives us a good look at what looks to be a truly worthy follow-up. There’s some very imaginative stuff in here and it looks like a real crowd pleaser. If you were a fan of the first film, then you should find much to like in its colourful sequel. Already I found myself laughing out loud at some of the clever food puns that they’ve come up with. Cloudy With A Chance Of Meatballs 2 stars Bill Hader, Anna Faris, Will Forte, Andy Samberg, and Kristen Schaal and opens on September 27th, 2013. Check out the trailer below and let us know what you think.